An Instagram influencer has been sued after failing to uphold his end of a marketing job. 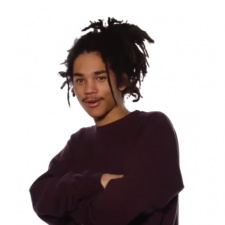 Luka Sabbat was due to be paid $60,000 to promote Snap Spectacles to his followers. $45,000 of that sum was paid upfront. The 20-year-old French model was paid to promote the Snap product to his 1.4 million Insta followers. The contract stipulated that Sabbat should make four posts: three posts to his Instagram story and one post to his actual Insta feed, in which he'd be wearing the Snap Spectacles. The deal was assigned by PR Consulting Inc on September 15th. The company filed a suit against Sabbat after he delivered just two posts, neither of which were submitted to the company for pre-approval. Sabbat was also contracted to appear at either Milan or Paris Fashion Week wearing the product, which he also didn't do. PR Consulting sought a $45,0000 reimbursement for the failed deal, plus an additional $45,000 in 'damages'. Sabbat is reportedly an ex of social media star Kourtney Kardashian. The pair have been photographed at events together. The marketing deal between Sabbat and PR Consulting was signed one day after Sabbat and Kardashian were first seen together.